It should be clear by now that fluctuating hormones can worsen ADHD symptoms. 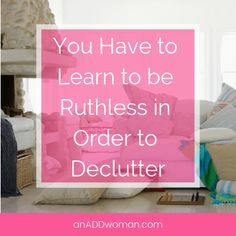 This is especially true for women with ADHD who experience far more fluctuating hormones throughout their lives than men. Pregnancy is, of course, all about hormones. While there is no definitive proof that taking ADHD medication will harm the developing fetus, most women choose to forgo their medication while pregnant and breast feeding. The first trimester of any pregnancy can be difficult. You are tired more often and more easily and may experience morning sickness as well. Going off of your ADHD medication will most certainly mean that your ADHD symptoms will return in full force. As you move further along in your pregnancy the resulting increase in estrogen may actually work in your favor. While no studies have been done to substantiate it, many women who have ADHD say that their ADHD symptoms were greatly improved during pregnancy, especially in the later trimesters. After the birth, hormone levels begin to drop in order to return your body to it’s pre-pregnancy state. As hormone levels shift and fluctuate, many women will experience signs of depression and anxiety often known as postpartum depression. For women with ADHD, the symptoms of postpartum depression may be more severe. And with the drop in estrogen, ADHD symptoms will reappear with a vengeance. It’s important for every woman to take especially good care of herself during and after pregnancy, but when you’ve got ADHD as well, it becomes a necessity. Ask your doctor for support and suggestions and get all the help you can, especially after the baby is born.